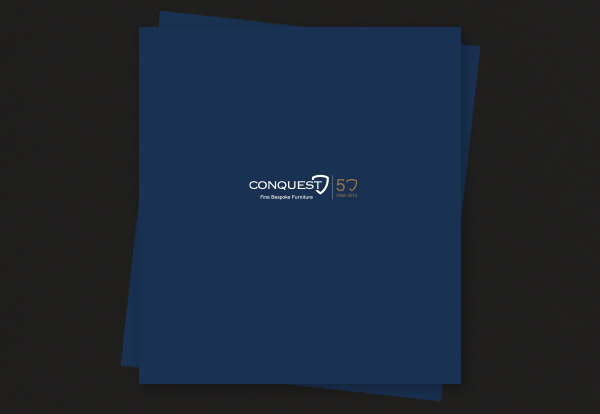 Starfish was delighted to be asked to produce a classic design for Conquest's 50th anniversary brochure. Conquest produce beautiful, hand crafted furniture and the brochure needed to reflect this elegance and quality. With a wealth of stunning photographs and minimal text this large square brochure beautifully illustrates the company's skills and craftsmanship. 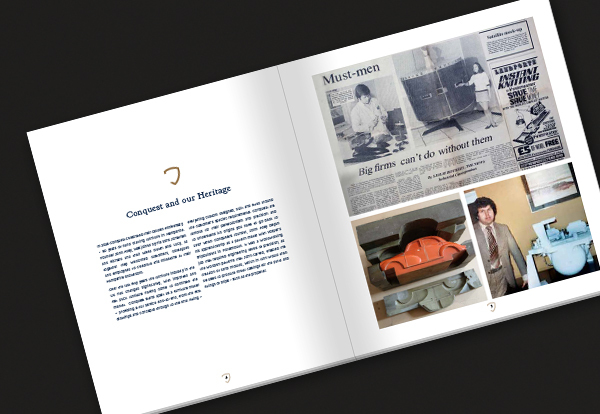 The 68 pages were printed on a quality silk stock and were perfect bound.The cover was velvet laminated and the logos embossed in both silver and gold foil to add that hint of luxury.